« What made you move to Boise? This entry was posted on February 4, 2013 at 11:45 AM and is filed under Boise County properties, Boise County Property, Boise County Real Estate, Boise Homes, Boise Idaho, Boise Idaho Real Estate, Boise living, Boise Real Estate, foreclosures, home sales, home selling, Idaho City Real Estate, Idaho Foreclosures, Idaho Homes for sale, Idaho Living, Idaho Real Estate, Real Estate, Wilderness Ranch Homes. You can follow any responses to this entry through the RSS 2.0 feed. You can leave a response, or trackback from your own site. How is the access road to wilderness ranch/ is it on a paved road and how are the interior roads? Thank you for your question. The roads are not paved and seems people prefer to keep it natural that way as there is a lot of wildlife such as elk, mule deer, turkey, etc…. There are a number of interior roads. A good network of them, you can find a map on my http://www.wildernessranchhomescom site. Please feel free to ask anything about the community. 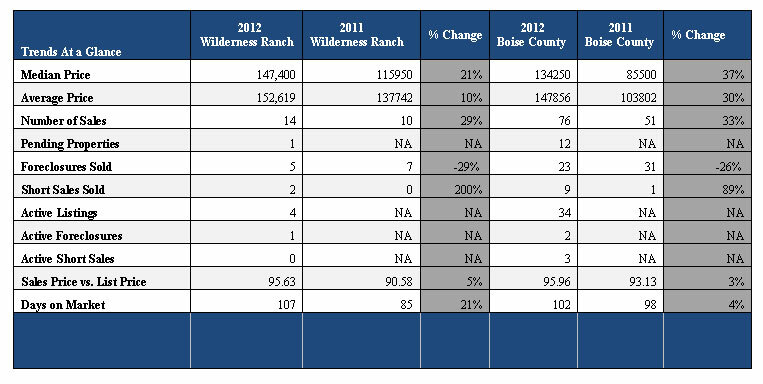 2012 Wilderness Ranch Idaho Annual Real Estate Sales Report .thanks to share with us..
2012 Wilderness Ranch Idaho Annual Real Estate Sales Report. Thanks for sharing with us.. 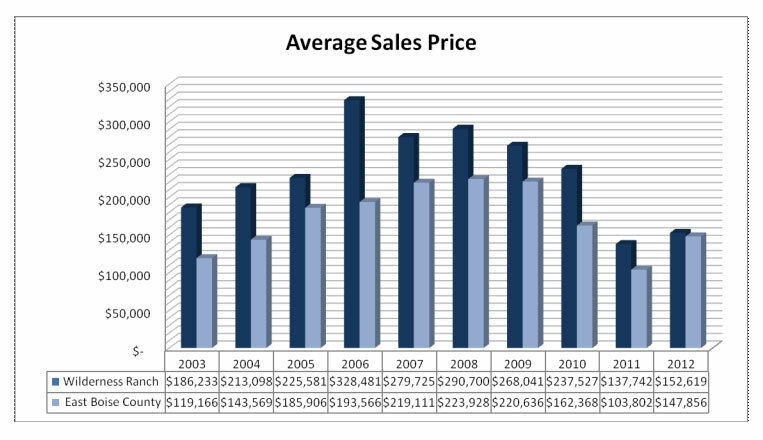 There are really nice detail with graph info about real estate. thanks to share it..
That is all about annual real estate sales reports with graph detail & index.thanks to share it..please keep updating.. It is all about wr real estate blog summary..which is really great & very useful..thanks to share it.